Fine motor strengthening is a hot topic when it comes to back-to-school time. 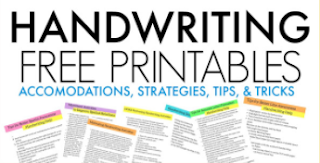 Kids go back into the classroom and need to get back up to speed on all of the fine motor requirements in the classroom. What better way to work on fine motor strength than with a Fall apple theme? 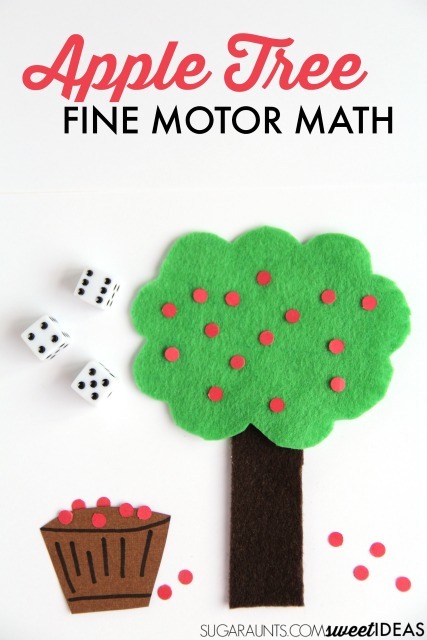 This apple themed fine motor activity adds a bit of math, too and it's super easy to create for hands-on play, learning, and fine motor work. This apple tree activity is a fun way to build the intrinsic muscle strength of the hands as well as gross grasp strength. 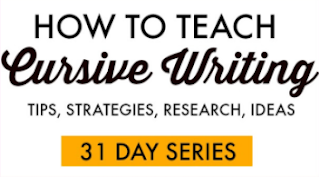 It's an easy activity to throw together, and the steps of the activity help to build strength of the hands, too. 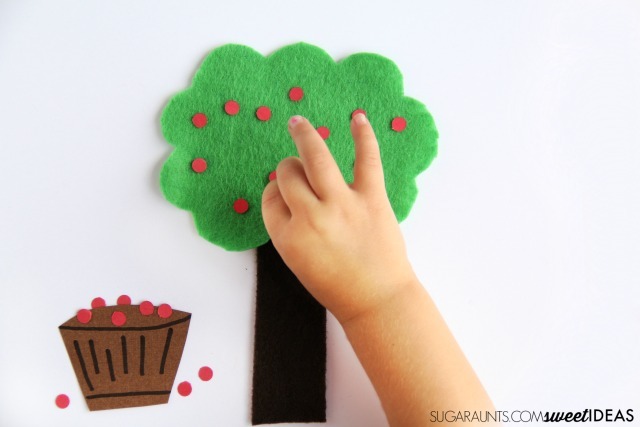 To create the apple tree, cut the green felt into a tree-ish shape. Cutting felt is a complex scissor task, so older kids can help with this part. If you are able to use stiff felt, cutting through the material is a strengthening exercise in itself. Next, cut the brown felt into a trunk shape, by simply cutting strait lines. Consider allowing the child to cut the trunk shape as cutting strait lines on a material such as felt is easier, yet the flimsy material makes it difficult to cut. A stiffer material would work well for this part as well. Next, cut the red cardstock into small, thin strips of paper. 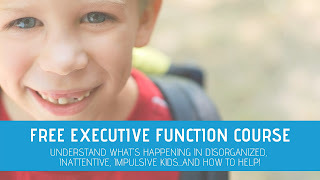 This is not necessary for the end result of the activity, however there is a fine motor benefit to the extra step. Kids can hold the thin strips of paper with a pincer grasp using their non-dominant, helper hand. Using the small strips of paper requires precision. 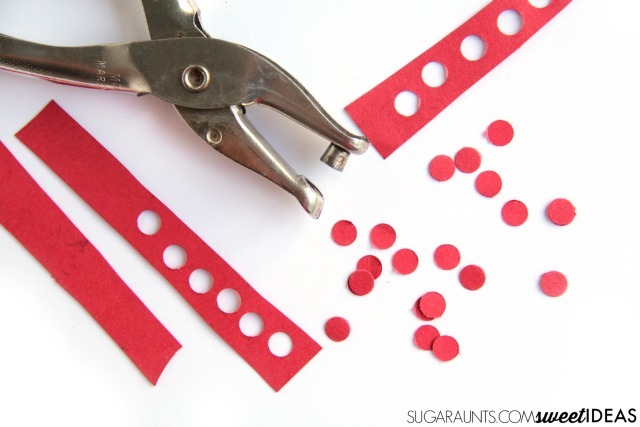 Kids will then be required to slow down while using the hole punch so that they don't cut the holes over the edge of the strip of the paper. Need a hole punch that requires less effort for younger kids or those who need to build their gross muscle grip strength? Try this one. Use the brown cardstock to make a small apple barrel shape. This can be used in the math part of this activity. A slower cut with the hole punch allows for the muscles of the hands to exercise with prolonged tension and increases blood flow. Using the hole punch with slow repetitions builds gross grasp strength. Once the apple tree and apples are created, kids can place them on the tree. The cardstock will not stick permanently to the felt, but they will stay in place for temporary play. 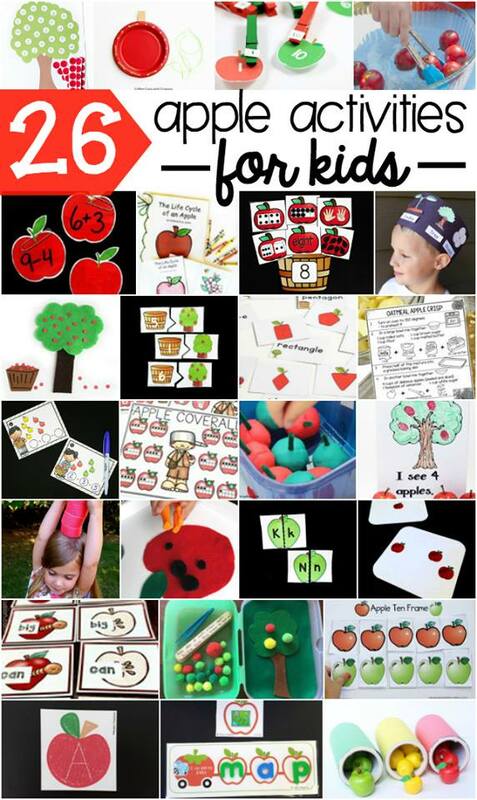 Scatter the red cardstock circles, (those are your apples!) onto the table. 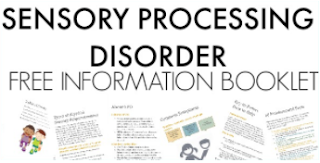 Show your child or student how to pick up the apples and place them onto the apple tree. Picking up the small cardstock circles is a real workout for the intrinsic muscles of the hand. 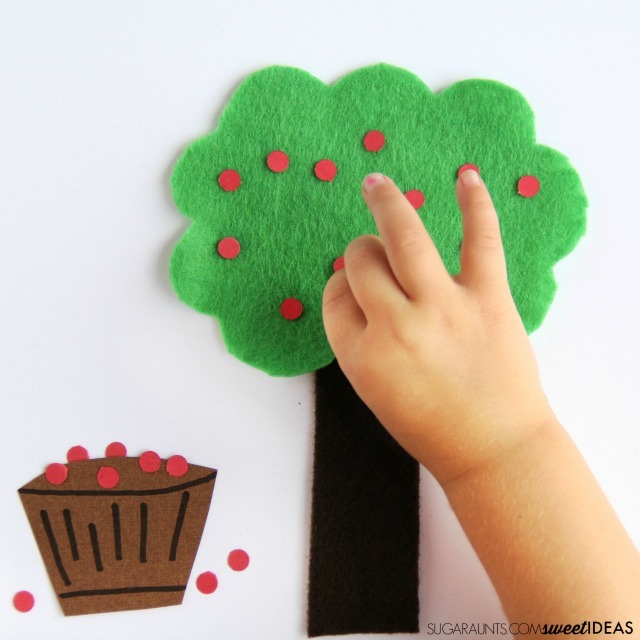 To make this activity easier, place the cardstock circles on a piece of felt. Add a bit of math to this activity with a pair of dice. Show your child how to roll the dice and then count the number of dots on the dice. They can then add and count the number of apples and place them on the tree. Use the dice to add apples. Subtract by taking away apples from the tree. Create multiple step math problems by adding and them subtracting the numbers on the dice to put on and then remove apples.